Only Cash Surveys claims to pay you cash for filling out surveys online. When you register you are immediately credited $5 on your account. The cash payout threshold is $50. You can also claim rewards which you can use for magazine subscriptions or for Amazon gift codes. I came across their website and thought this looked like something nice to try for some extra dough. I decided to check this out and will take you through my experience which took up over an hour of my day today. I found registering a problem at first. It kept telling me there was something wrong with my email address. I tried numerous times to register with the same error coming up. It then occurred to me that I didn’t click any of their “extra” options. 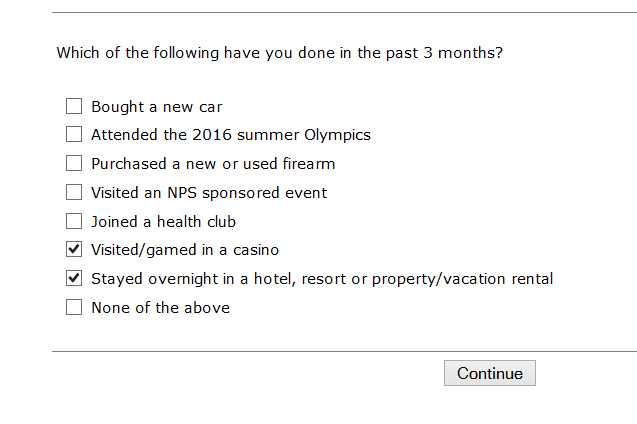 I clicked all the options and what do you know I had no problem getting in! In my dashboard I had a lovely big box telling me I have earned my first $5 and that there are possibly 3 surveys available to me. How exciting, maybe I can make some cash? I took the first survey and this is where it took me. But hang on, there is no monetary value to this survey? I was under the impression that I would be making money for each survey I take? So I click on it anyway just to see where it takes me. Apparently it is 2 minutes long so that won’t be too much of a problem right? I get taken to this page below. 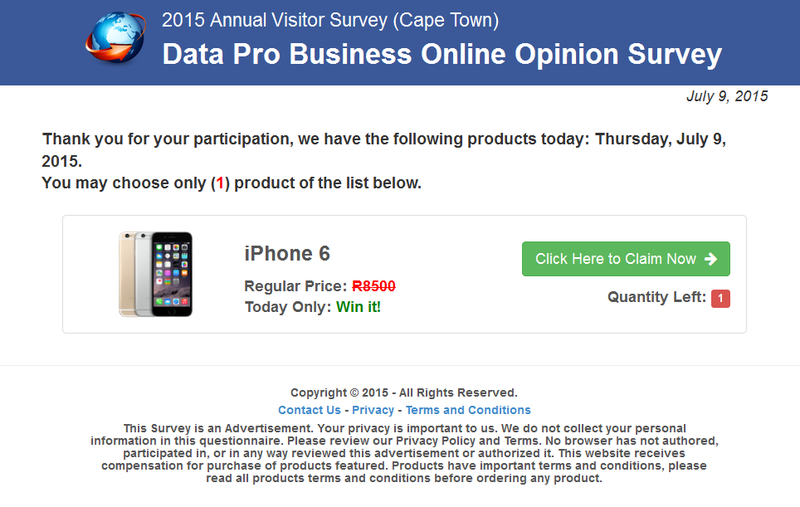 I’m confused, am I a Data Pro Business Online user? But hey look, I can win an iPhone! Let’s click it anyway and see what happens! I click on the link and get taken to the page in the screenshot below. Oh wait, have I forgotten something? Yes I never answered any survey questions. I thought this was a survey? I click on the link to win the phone anyway. I then get redirected to the page below and asked to register with the Panel Station. 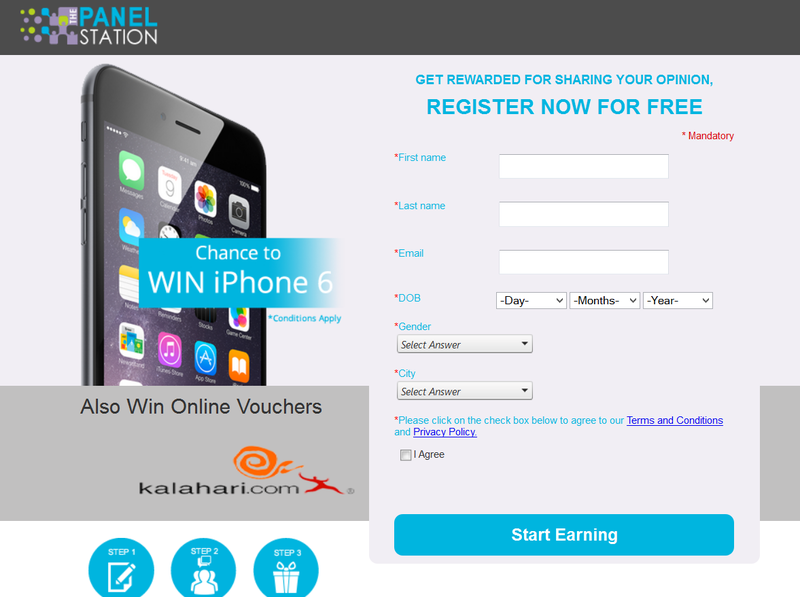 Now I am getting confused, I thought I would be answering surveys on Only Cash Surveys to make money not be redirected all over the place to win an iPhone? I just go back to my dashboard to see what the other 2 surveys offer. 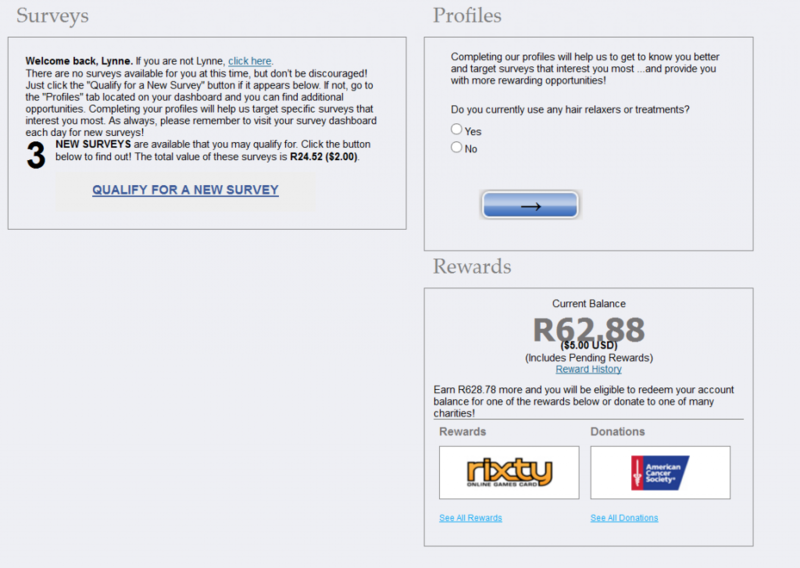 So from my dashboard I enter the 2nd survey on offer. 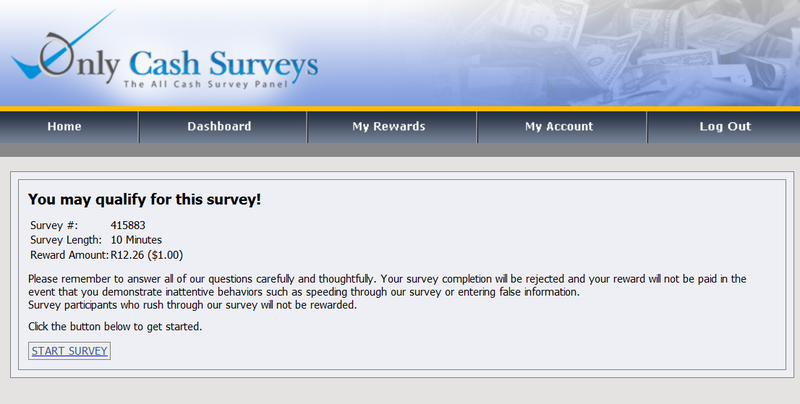 Clicking on the survey I am taken to this page, that shows this one is actually for money even if it is only $1. 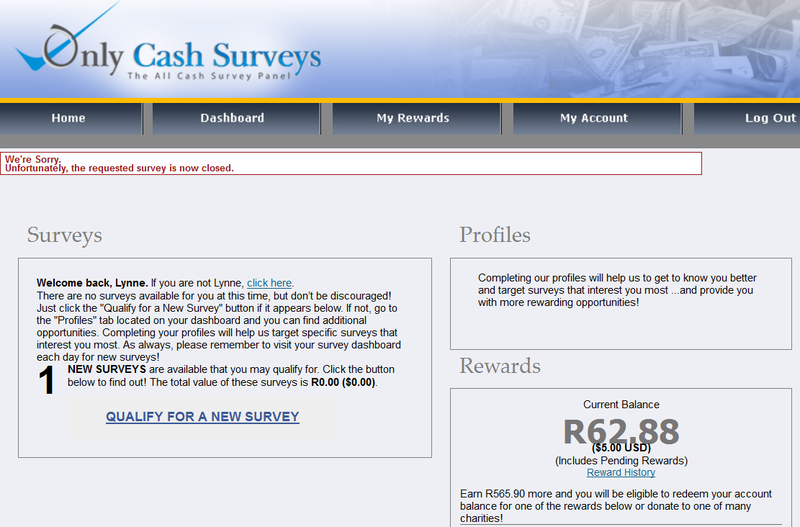 3 Questions in and I am told not that I don’t qualify for this survey but that the quota is full already? So it is back to the dashboard to try out no 3! And when I get there and click on the survey this is what comes up, the requested survey is also full, but there is possibly another survey to try. After all of this I decided not to bother trying for that 1 survey that is now “available”. I know some people will try again and go for that possible $1. I am not that kind of person. If I get messed around from the start and find that what I was promised I am not receiving I just move on. 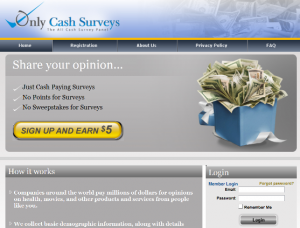 Instead I decided to do some searching online to see what other people are saying about Only Cash Surveys before I made a final decision about this company. They move the payout thresholds regularly so you can’t cash out! If the payout threshold is $50 you can work really hard while being messed around and just before you reach your $50 the surveys stop! If you contact them and complain you suddenly can’t log in. There were a few people that said they have made money from Only Cash Payments, but the majority complained of the above issues. This is a prime example of why I avoid online survey companies! There are some legit ones out there but they are far and few between. As far as I am concerned this is a scam. A scam is not just when someone robs you of your money, it is also when someone gives you false information and wastes your time. Time is a valuable commodity and you can use it to make money. If someone steals your time they are still stealing your money. If you want to make some real money online in an honest way, check out my #1 recommendation! Oh dear this sounds like another carefully planned out money extractor – I hate the sites that give you cash to sign up with them ( you’ll never get to spend it in the long run ). You are right though – there are some very legit survey sites out there but they all take hard work to make minimum wage. What would you recommend as an avenue for earning online? Thanks for visiting! 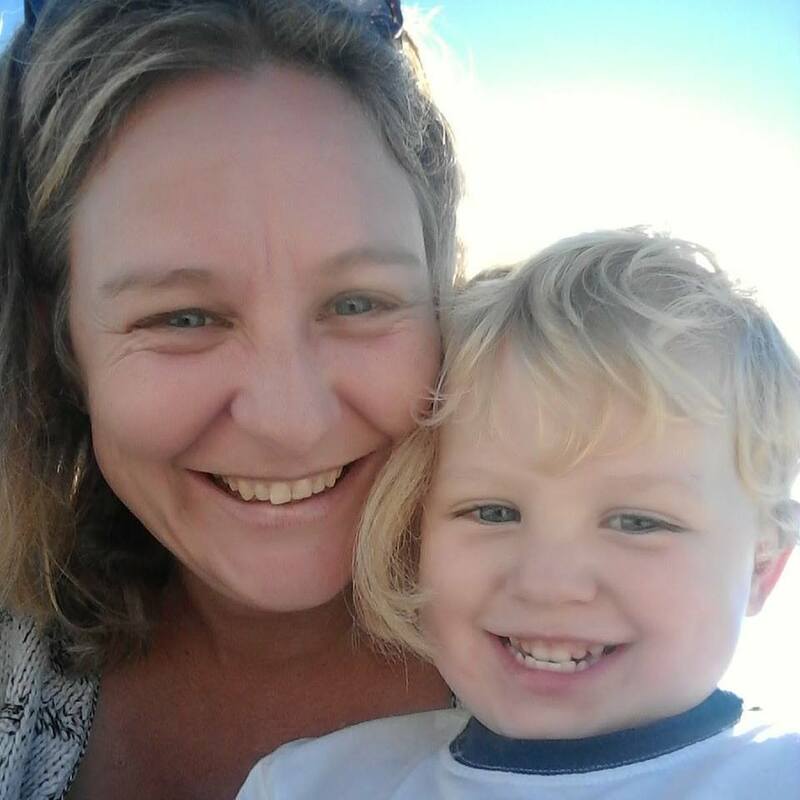 Check out my Getting Started page for the avenue I recommend. Another scam in the wild online world! Thank you for your detailed review, Lynne. The way you put a picture for every step of their program makes it easy to understand how their system works! 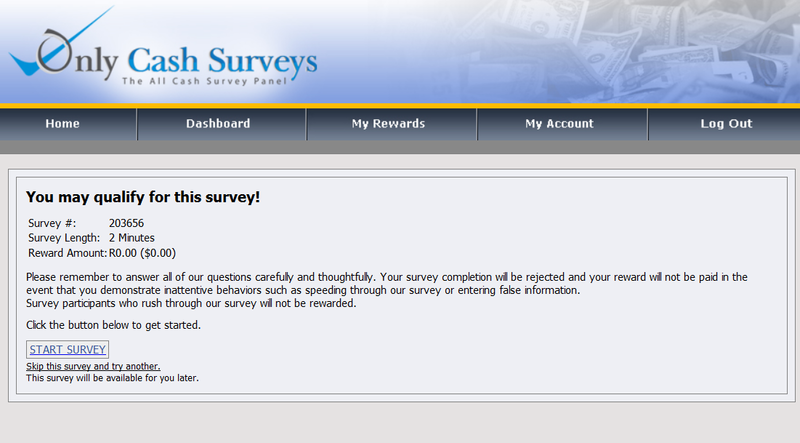 They simply want us to fill survey after survey for nothing. You saved my time and I won’t ever go near this program. Thanks. Albert. It’s a pleasure Albert. Nothing more annoying that having your time wasted like this. this is great review. I must say that I never believed in that way of earning money. Common sense tells you that everybody would do that if it is working. We need more reviews of this kind. I hope that this will be helpful for many of us which are trying to earn few extra bucks online. Thank you very much. It’s a pleasure Igor. There will be plenty more on the way! 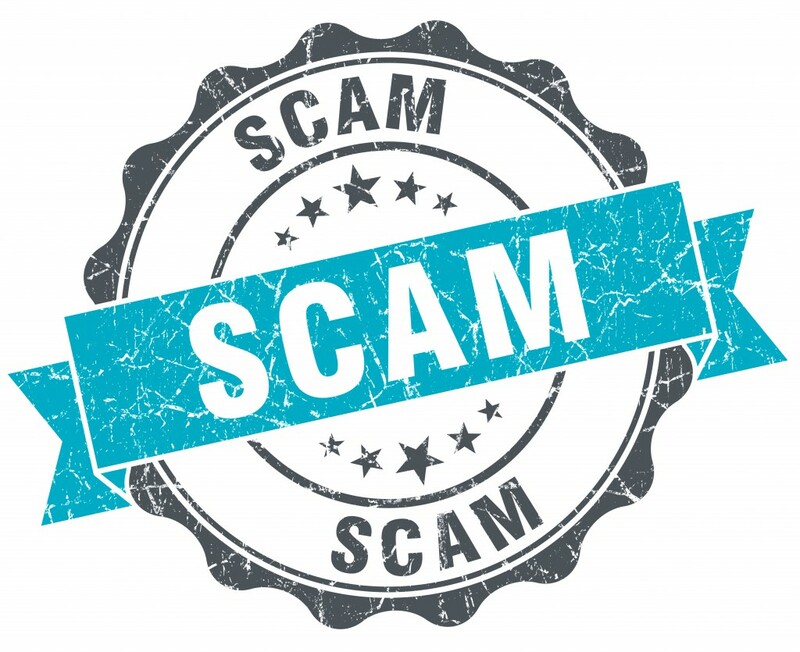 Unfortunately all these surveys sites with the redirects are scams.There are legit and these are not paying much.I do not believe that surveys is a steady plan to make any serious money online.And what a negative feedback is that you found about them. Thanks for pointing out another useless site.Now I won’t have to lose my time on them. Hi Tasos, thanks for visiting. That is what I can’t get my head around either. 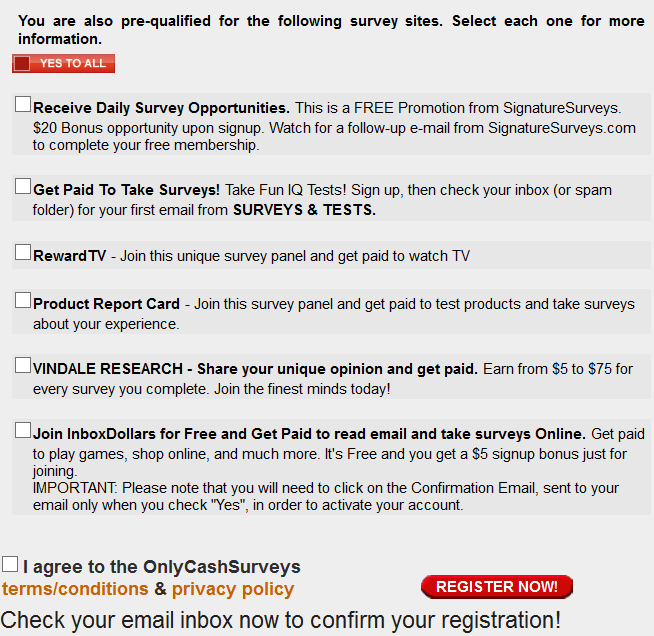 They say you can make a fortune, but at $1 – $2 per survey that is impossible. Just the fact that they say you can earn loads of money is dishonest already! This is a perfect review to point out how a scam survey site works. I can see how frustrating this must be being pushed around like that. I’m glad you gave this many details. I’ve personally never gone that far within survey opportunities because I would get bored very easily.. However I did had the idea most of them worked on a legitimate base. Thanks for clearing that out! It’s a bit scary how much power a website can have that it can just delay payments, delete your completed surveys, pending payments and many more… I hope there will be some rules in place online one day that will make these practices illegal! 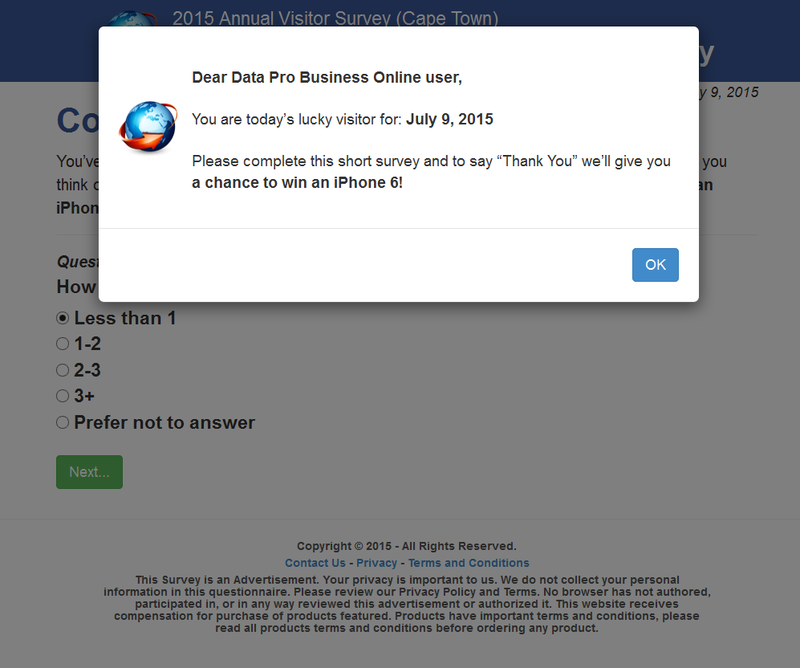 You were talking about legitimate survey sites in the end… Can you give us some examples of those? Cheers and thanks for this informative post! Yes, I also would not have gone so far but for the purpose of reviews I do! I like to get the full picture. My best recommendation for making money online is Wealthy Affiliates, read the review here. Keep providing us with all these scammy websites. Scammy? Is that a word lol. Anyways, I’m more financially stable now and I won’t have to go around looking for all these luring programs to get duped into. But I know there are a lot of folks who get lured into these and lose time or money or both. So thank you for providing us all these great info! Hi Joon, I am not sure if scammy is a word but I use it as a word 🙂 I am glad to hear you have found something that works for you! Congrats.